It turns out that Kenyans on Twitter (KOT) are not just a force to reckon with because they have mastered the art of tough talk, with their infamous #SomeoneTell hashtag — which has seen #KOT put countries, televangelists and global media corporations in their sights, but because they are many. That is, if we’re going by a report just recently put out by our friends over at Jumia which shows that Kenya has one of the leading internet penetration rates in Africa. Sorry to take that away from you guys. Although one might argue that Kenya’s Twitter wars are not won by strength alone. This lead, according to the report which borrows from GSMA’s Mobile Economy 2017 and WeareSocial, puts this Internet penetration at 67%, which is 31.99 million Kenyans, versus Africa’s 18% average — approximately 362 million connected Africans. The growth of smartphone penetration in Kenya has been accelerated thanks to Jumia and their ability to act as a logistical partner for straight-from-China brands. More than 60% of Kenyans own smartphones, while mobile subscription is at 82%. A number of these brands have given incumbents Nokia, Samsung, Alcatel and others a run for their money on the continent. This is especially true in the middle of the smartphone market (devices priced between $80–$199) and the bottom of the market (under $80). Moore’s Law states that processor speeds or overall processing power for computers—in this case mobile phones—will double every two years. Chinese brands seem to understand this as is specifically demonstrable in the Kenyan market. It’s also the case in African, which is still the world’s fastest growing mobile market.The strongest of these brands can be said to be Tecno, who set themselves apart by choosing to build exclusively for the African market and are set to take on in-continent manufacturing, a move that even the incumbents they disrupted have never attempted. As a sidebar, this podcast by Planet Money on how Argentina attempted a Trump-esque policy of bringing manufacturing in-country with the example of Blackberry is a story well told and worth your time. Visiting Jumia Kenya today, you’ll find Infinix, InnJoo & Tecno featuring among the Top Five mobile brands, with Infinix being Africa’s top smartphone brand across Jumia’s fifteen markets. However, forecasters say this is about to level out over the next two years, so don’t hold out for any more bargains—a strategy they’ve used to penetrate the market. Assuming that their hope is for people to trade up for another Infinix every two years, one could argue they are going for the long game of making their profits from successive devices as people scale up for storage, speed and style. The other reason is the lower cost of data driven by the migration from wireless to fibre optic connectivity in Kenya. Instructive to unpack this is Mark Kaigwa’s From the Cyber Cafe to the Smartphone: How Kenya’s Social Media Zooms in on the Country & Out to the World. There, he argues that the mobile phone has replaced cyber cafés, the “infomediaries” of an internet experience in the years 2000–2011. It is expected that more local internet service providers, telcos and fibre-to-the-home players will promote products geared towards a more connected audience. Safaricom, for instance, has attempted this in what seems to be confusing for both the youth, at first, with BLAZE and later the rest of consumers with FLEX. As internet penetration rises, devices become more affordable and the price of connectivity lowers with Moore’s Law in practice, we see data and content consumption rise. One place that attests to this is Jumia’s own industry. Online shopping in the country has picked up, with 50% of online purchases being done from a mobile phone. 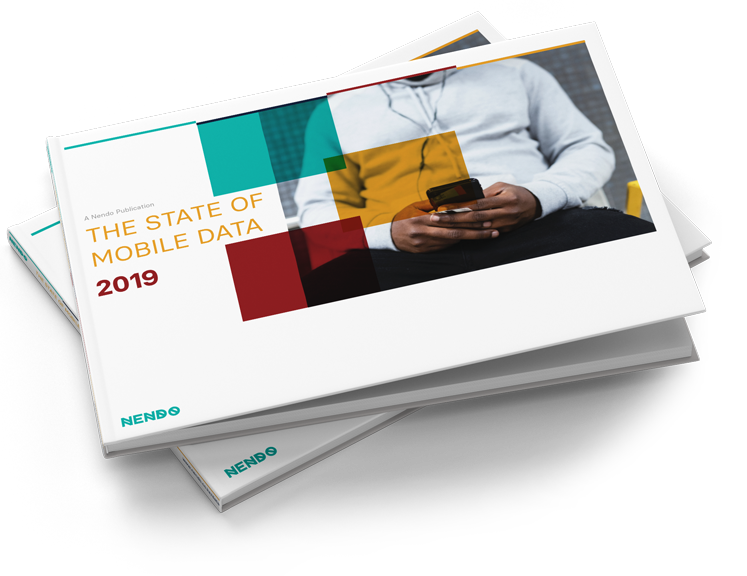 Nendo has long held a view, which these statistics now uphold, that the mobile-first and mobile-based audience deserve a better customer experience. It’s no longer a question of whether mobile marketing is important, but of how to change gears and put more focus on it as a brand. Some consider mobile marketing to be one-way or “push” through SMS, instant messaging and mobile ads. We see it as that but advocate for a focus on mobile as a critical touchpoint in the customer journey. Remember that it plays a role as it is a key medium of payment through mobile money. 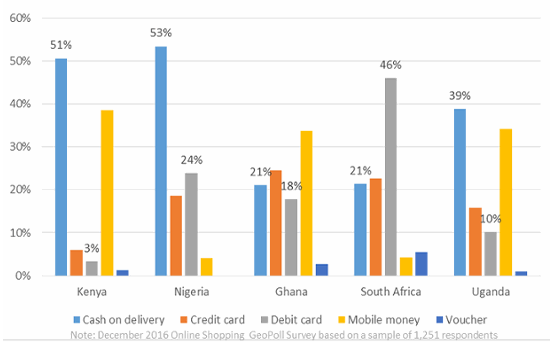 ‍GeoPoll: Kenyans prefer to pay cash on delivery or with mobile money when shopping online. If want an objective view of how someone would use your site on mobile, have a Westerner use it and get a free screencast of about five minutes from Peek by User Testing like the one below. Or get in touch to see how we can audit this and more for your offering, relative to your competition. According to Nendo’s upcoming 2017 Social Media Lens report, close to seven million Kenyans use Facebook, while Instagram has a guesstimated four million active users. For both, there is over 90% mobile use, with Instagram being higher than Facebook. If you’d like a sneak peek of this report, sign up for our email newsletter. 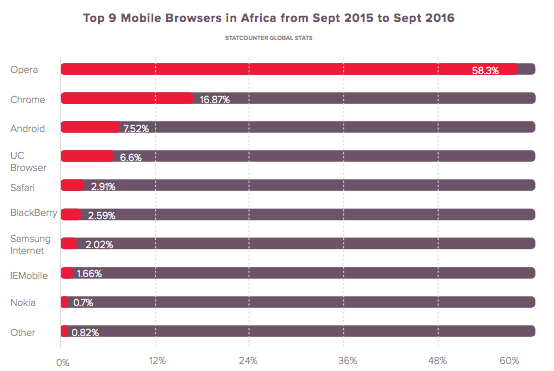 Competitors to Jumia would do well to optimise for mobile customers. It’s all about user experience. Lightweight, faster web applications are highly favoured with app users. In their quest of this, however, they should be careful not to leave out those who go online using low-spec smartphones and do not have access to a lot of prepaid data bundles. 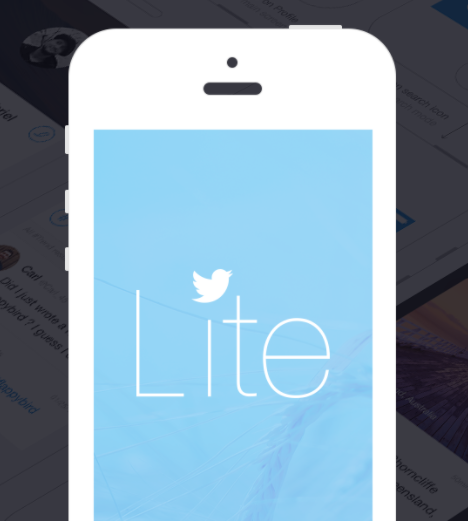 Twitter, though late to the party, recently achieved a significant mobile engineering feat, launching Twitter Lite in the venture to minimise data usage, load quickly on slower connections and take up less space on low-spec phones. Instagram has also caught on with this as per their recent launch of "Offline Mode". This is a powerful and smart move dedicated to the prepaid world. We unpacked that in a few tweets highlighting the significance, based on our Social Media Lens report. Since the mid 2010s, Facebook has sought to solve for the rest of the world.The process could be described as hit or miss, with more hits than misses. 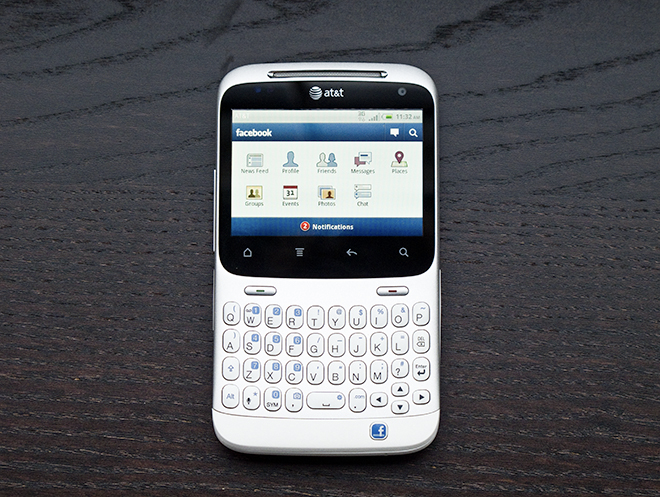 An interesting one was HTC’s Facebook Phone, seen below, that allowed a button to go straight to composing a new status. The place that the successes began was with the acquisition of the popular mobile app Snaptu. The Israeli-based company joined Facebook and is credited with opening the rest of the world (namely mid-to-low-end phones) up to the Facebook experience. (Snaptu’s team) brought Facebook capabilities to feature phones in countries as diverse as Sri Lanka, Ukraine, Poland, Singapore, Saudi Arabia, Hong Kong, Tunisia, Dominican Republic and Romania, with carriers in Canada, India, Mexico, Brazil and Bulgaria also planned. Facebook recently announced that "Messenger Lite" which was debuted in Kenya among the handful of countries for its global launch, is now opened up to 132 countries. ‍The top Android apps in Kenya, February 2017 via Google Play Store. While we agree on the first part, we expect Opera to anticipate this and hold onto their market share. The Norwegian company launched a free VPN, which is baked into their “battery saving” web browser on desktop and available as a standalone mobile app. This shows us they may end up the tool of choice during Kenya’s elections, if Uganda’s recent scenario is anything to go by. We’d love to know what you think. Do recommend this article and we’ll keep them coming with a weekly piece in The Letter N and a monthly longer read like this one.